So I planted winter squash, bush beans, and seedlings of tomatillos. It might be a little early to do so but wanted to use some of this wonderful rain. Seeds made it into the earth not 15 minutes before the skys opened. 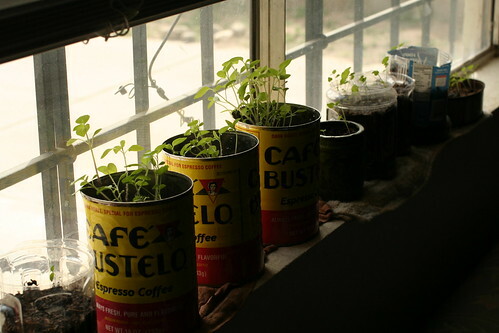 Above: The tomatillo seedlings, there is also a habanero in there but I forgot which pot. I was a little worried because I was not so gentle getting the seedlings into the earth. Got to be an easier way than flipping the plant over.